Hammer, saw, nails and screwdrivers are stimulating tools for children. 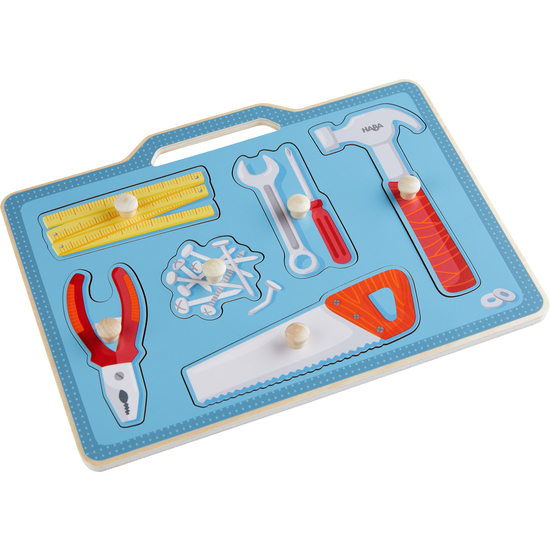 With this attractive clutching puzzle, they can fill their toolbox and familiarize themselves with its contents. Whether they do this on their own or with others, it’s a lot of fun, and it develops fine motor skills at the same time.